Between voice calling and instant messaging, Gmail’s sidebar chat box might be really useful. But, if you don’t use it the thing is just taking up space. 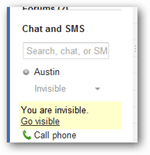 Tired of seeing that pesky chat window on the left side of Gmail? There are plenty of reasons to get rid of it. Perhaps you have Google Talk installed, perhaps you don’t like instant messaging, or maybe you just use a different service. Getting rid of the chat box is easy, just follow these simple steps. Log in to Gmail as you normally would, and then click the Gear (settings) button at the top-right of the window and select Settings. Click the Chat tab and select the Chat Off bullet option. Scroll down to the bottom and Save Changes. Done! 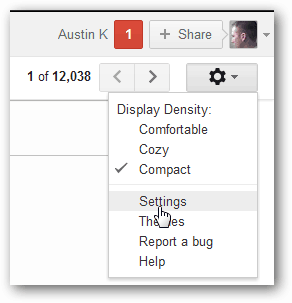 Now Gmail will no longer pester you with annoying chat requests and you’ll have that much more room on your sidebar. If you are working on a smaller screen, this is quite a luxury. The only downside is that you won’t be able to make Voice Calls via Google Voice anymore, but you can still install the Google Voice extension and send text messages. It still leaves the space at the side of the screen, only it is empty. I’m about ready to quit gmail over this. Someone let them know they’re causing grief over this. jdjcpa that is my experience as well (still) 1 yr later. very annoying when throwing the gmail window to the side for a 1/2 display. all that wasted space with the sidebar. thanks @Hung. it’s really worked… Thanks a lot..
it’s much better than before. My sent mail and spam didn’t even fit. So glad to be rid of chat. Reeeeeeeeesult! At last. Good work, thanks. Hung: this solution does not free up the space previously occupied by the gchat sidebar unfortunately. I tried to get rid of the Chat side. Gmail does not allow me to save the setting. Really a nuisance that takes up too much of screen space. Any idea, please share. 2. Go go setting -> Chat -> Turn on. “Right side chat” just a Lab which hidden in GG. THANKS!!!!! I’ve been trying everything! Thanks a lot!! I hated that window. I just found this explanation while looking for another one. Couldn’t figure out the right question to search for getting rid of that beast. Thanks very much for putting that up. It worked. The chat box was not only annoying, but blocked access to all my folders and i couldn’t see how to get rid of it. I appreciate your time to post this.